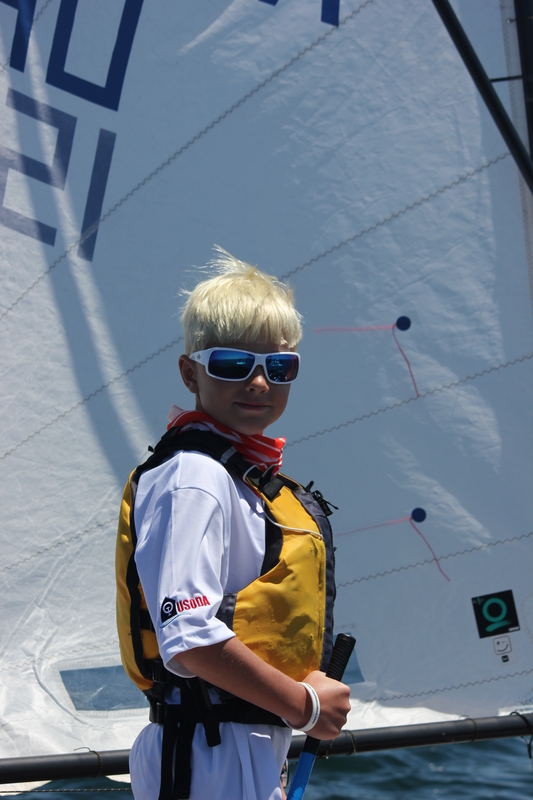 Eleven year-old Quentin Beyer started racing four years ago with the West Michigan Youth Sailing Association at the Grand Rapids Yacht Club in Grand Rapids, Michigan. His initial interest in the sport came from watching his older brother race, but Quentin decided to stick with it for the best reason – it’s just fun. Why did you decide to start racing? My older brother, Zachary, was racing already, and I wanted to try out the sport. Where do you train? What’s your training strategy? I have taken lessons at my home yacht club, Macatawa Bay Yacht Club in Holland, Michigan. I like going out on Lake Macatawa to just have fun and find the wind. What’s your favorite part of racing? My favorite part is the anticipation of going out and racing. It’s just fun. What’s the hardest part of racing? The hardest part was when I started racing, getting to know all the rules. What’s been your biggest failure? What did you learn from that experience? My biggest failure was when I flipped and forgot to put my mast clamp on, but I did save the rigging. I always remember to put on the mast clamp now. What’s been your greatest success? What did that experience teach you? 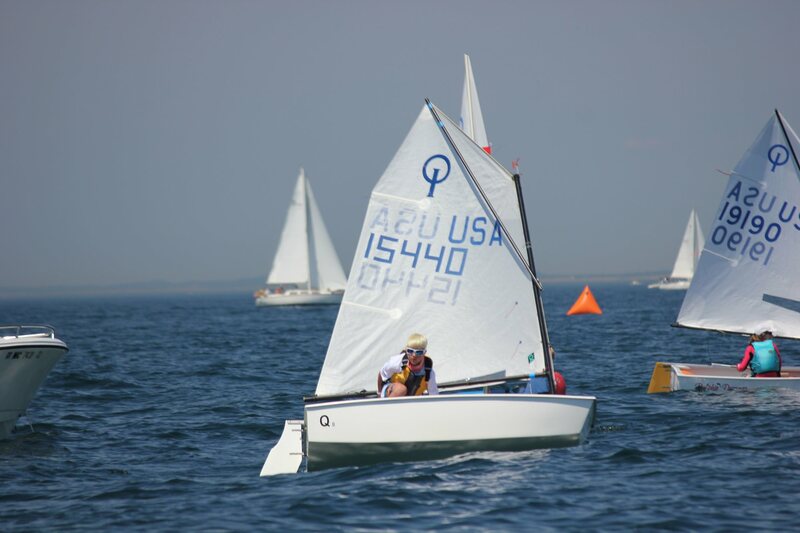 My greatest success was getting first place at MBYC for Opti racing for the summer. It was a lot of hard work to keep racing all summer long. What would you say are your sailing strengths? I’m aggressive on starts. I like going downwind. I like heavy wind, and I’m lighter, so I’m great in light wind. When did you start using Quantum® sails? Why? I started using Quantum sails two years ago when I got my own Opti. The sails came with my boat. How have Quantum sails helped your racing? They hold up a lot better than other sails I’ve used in the past. Who supports and encourages your sailing? How do they support you? My mom and dad cheer me on, and they make me feel good however I place. They also help me get my Opti ready for races: they tow my boat, help me rig, and help with whatever else I may need. Grandma Beyer always comes to wish me good luck. And my brothers, Zachary and Keegan, are out on the water racing with me. We cheer each other on. Do you have other interested beyond sailing? I love to snowboard in the winter, and I enjoy playing soccer as well. I want to sail in bigger races, like the Chicago-to-Mackinac, and someday I would love to race in the Volvo Ocean Race.